As a college student, my early disciplers and mentors passed along to me a heart for the Scriptures and the know-how to study and incorporate their truths in my life—what a gift! But how do you do that, especially with busy people? We hear it from every direction, people saying, “The emerging generations are losing their grip on God’s Word.” If we lose the Scriptures, we lose the war. There are six basic principles for raising up generations of Christ followers who will keep going, through all seasons of life. Over the next few months we’ll look at these principles that have set The Navigators apart for decades in their focus on building deeply into the lives of people, equipping them to keep going and growing over the long haul. Do believers put any value on their spiritual children? Do you? One of the things we grieved the most after losing our house to a wildfire six years ago, was pictures. In the recent history of God’s people, believers have tended to leave the advancement of His Kingdom to ministry professionals. Yet God has always had a different plan to fulfill His purposes. Does Your Life Stop With You? The four other character traits of a disciplemaker have been valued in many Christian movements through history, but the final trait is distinct. What Do You Think of “Y’all”? While we Americans sometimes take pride in our rugged individualism and independence, there are also inherent defects in that aspect of Western culture. My wife Pam and I have some neighbors, “Mike and Sarah” who love Jesus and seem to like being around us. But are we destined to sit around our kitchen table singing What a Beautiful Name with them until Jesus returns (I love that song, by the way)? While being in community with other believers is vital (which we’ll speak to in a later post), God has something more for us than just that. As Earth-dwellers, we have many influences on us. Especially in modern times, with the abundance of information at our fingertips, we face important choices in how we interpret the issues of our day, our culture, and our own heart and responses to them. 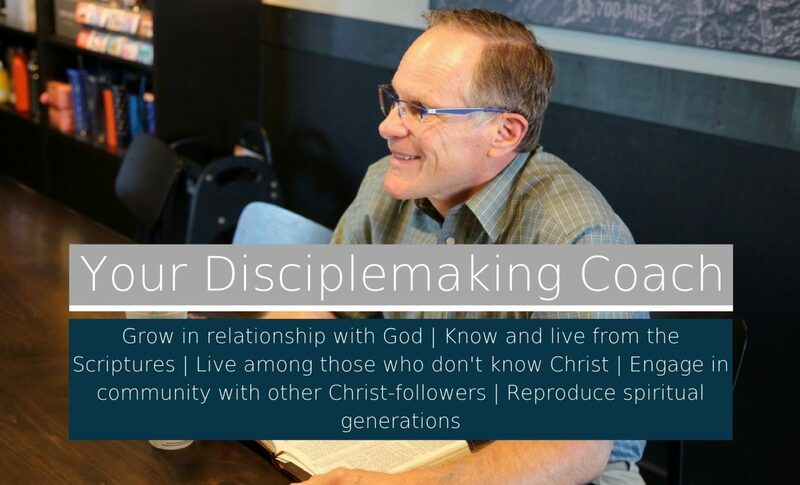 As soon as I mention the first topic in our series on characteristics of a disciplemaker, you may be tempted to say, “Oh, that’s discipleship 101! No need to read this.” Not so fast. I suspect that we, like the religious leaders of Jesus’ day, may need a reminder of easily forgotten, life-altering truths. Several years ago, a gathering of Navigator leaders prayed and sought God in developing a short list of top priority skills or behaviors to build into the lives of people we call disciplemakers.